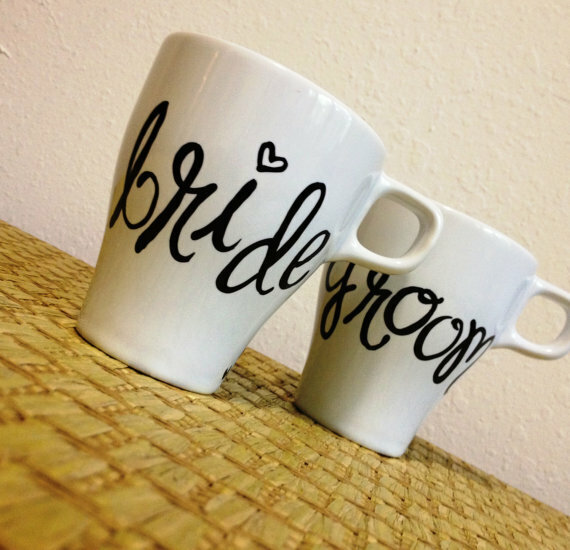 Home | The Best Part of Waking Up? 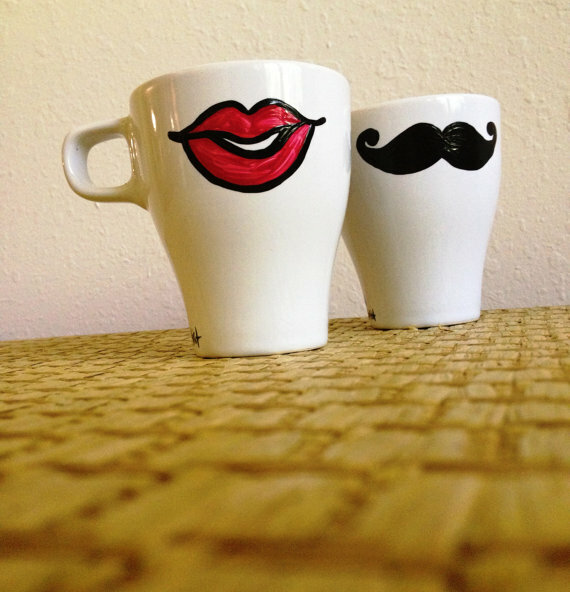 These Mugs! 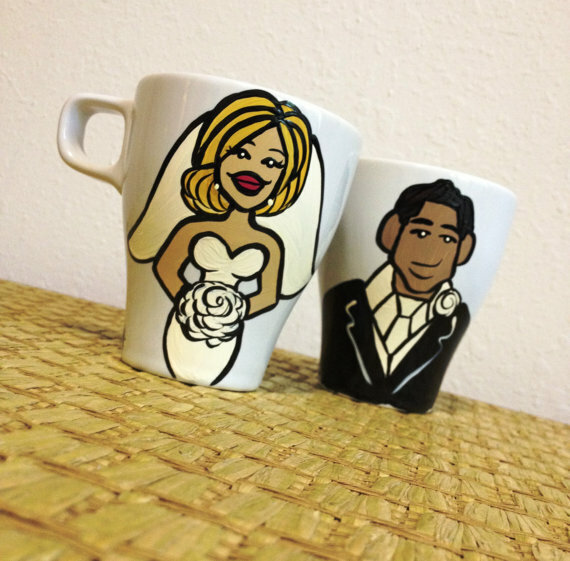 Not only are these mugs adorable, but they’re custom hand-painted to look like you! 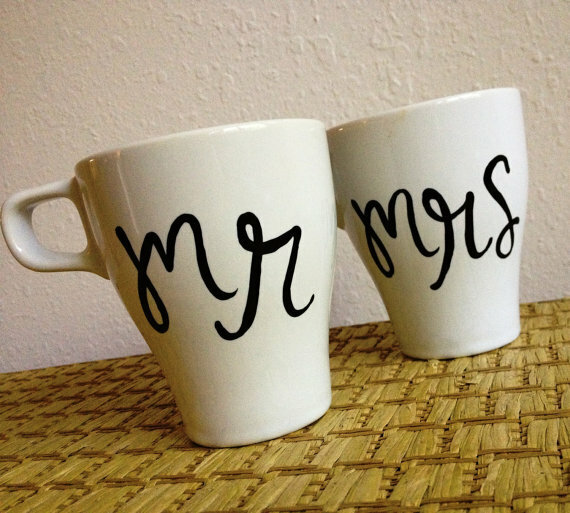 This makes a great gift for your favorite engaged couple, newlyweds, or for yourself as you plan your wedding. 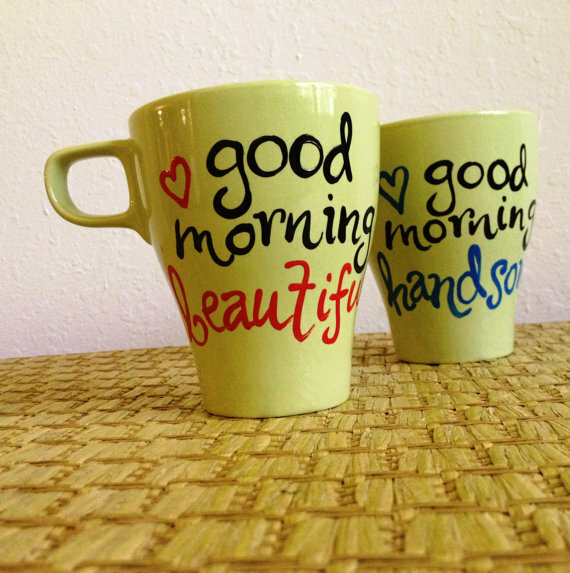 … and another favorite, ‘Good Morning Beautiful’ or ‘Good Morning Handsome’ mugs. How sweet. 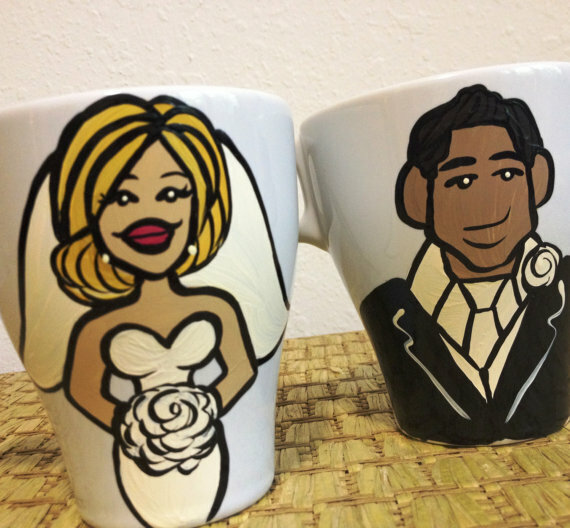 To view more bride and groom mugs, custom mugs, and an entire collection of hand-painted glassware, check out Fizzy Artist, Featured Artisan in The Marketplace.